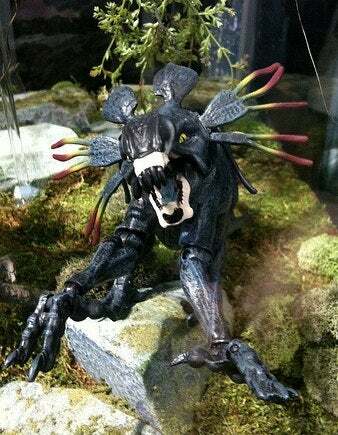 We stuck our lens up close and personal, with the fanged beasties from planet Pandora at SDCC. Plus there's a first look at the human team sent to stir things up for the Na'vi people, including Sigourney Weaver. Well, color me excited — as long as it's more crazy alien action than moral lecturing (and who knows at this point), I'm ready to go to Pandora. Avatar will be in theaters on December 18th.